Given that Glenlossie was named as one of only twelve ‘top class’ malts by blenders in 1974, it is perhaps surprising that the distillery is so little-known. The reason is simple – as Glenlossie is in such high demand only 1% of their production is left for single malt. 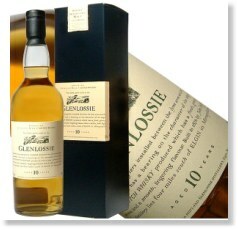 It isn’t every day that whisky enthusiasts hear about a rare whisky that doesn’t cost the earth which is why Glenlossie Single Malt Scotch Whisky can easily fly off the shelves.